Mount Agung or Gunung Agung is a mountain in Bali, Indonesia. This stratovolcano is the highest point on the island. It dominates the surrounding area, influencing the climate. The clouds come from the west and Agung takes their water so that the west is lush and green while the east dry and barren. The Balinese believe that Mount Agung is a replica of Mount Meru, the central axis of the universe. One legend holds that the mountain is a fragment of Meru brought to Bali by the first Hindus. 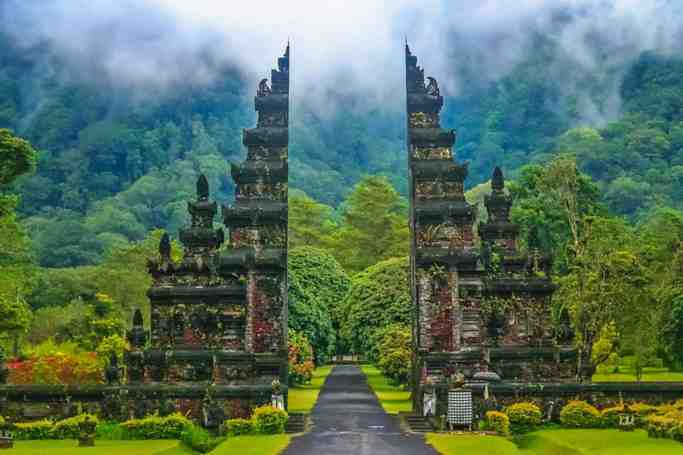 The most important temple on Bali, Pura Besakih, is located high on the slopes of Gunung Agung. Gunung Agung last erupted in 1963-1964 and is still active, with a large and very deep crater which occasionally belches smoke and ash. From a distance, the mountain appears to be perfectly conical, despite the existence of the large crater. From the peak of the mountain, it is possible to see the peak of Mount Rinjani on the island of Lombok, although both mountains are frequently covered in clouds. There are two main routes up the mountain; one from Pura Besakih proceeds to the higher western peak and starts at approximately 1,100 m (3,610 ft). The second route, reputed to take four hours (one-way), proceeds to the southern peak and commences higher from Pura Pasar Agung, near Selat. A path connecting the southern ascent with the western ascent is available during the dry season. 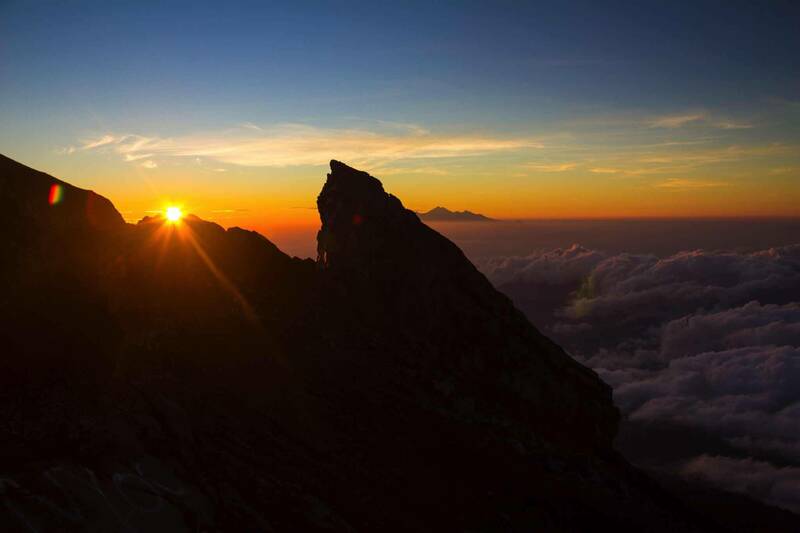 Cecilie Scott provides an account of the ascent from Pura Pasar Agung to the southern peak. Greg Slayden describes a climb from Besakih claimed to have taken a remarkable four and a half hours to the peak and Ken Taylor that took much longer and included getting lost. Guides are available in Besakih and also in Pura Pasar Agung. The mountain can also be climbed without a guide. The climb from Besakih is quite tough. It is sometimes tackled as a single climb generally starting about 10 p.m. for a dawn arrival at the peak and sometimes with an overnight camp about three quarters of the way up. The climb from Pura Pasar Agung generally starts around 2:30 a.m. for a dawn arrival. It is far harder than the more popular Balinese climb up Gunung Batur. It is not a mountain that needs ropes and not quite high enough for altitude sickness, but adverse weather conditions develop quickly and warm waterproof clothing is required and should be carried. A dawn arrival at the top is recommended in order to avoid clouds that typically cover the top from approximately 9 a.m. onwards. There is no water available along the route. For the Besakih route proceed through the temple complex then continue on a path that travels continuously upwards on a steep narrow spur through open forest and jungle most of the way. There is little potential to get lost until the route opens up towards the top where the correct route doubles backwards. Many climbers miss this turn and continue up a small valley which can be climbed out of with some difficulty. 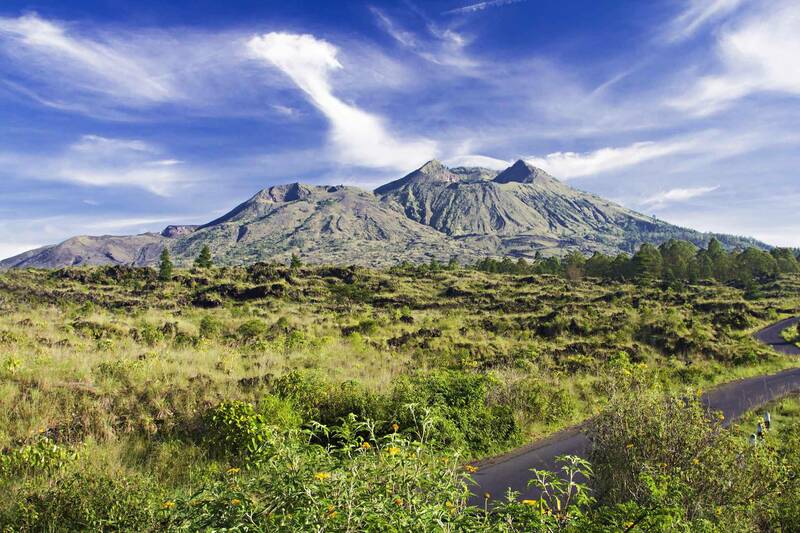 Mount Agung | eTips Inc.